Elon Musk sent an email in May that encouraged Tesla employees to be "thick-skinned." Some have taken Musk's email to mean that his employees should forgive racist abuse from coworkers. Tesla released Musk's May 31 email in response to a lawsuit filed Monday that alleges racial discrimination and harassment at the company. The email, titled "Doing the right thing," is a lengthy directive from Musk about how Tesla workers should treat each other. "In fairness, if someone is a jerk to you, but sincerely apologizes, it is important to be thick-skinned and accept that apology," Musk wrote in part of the email. "If you are part of a less represented group, you don't get a free pass on being a jerk yourself." Though the email is not specific about what it means to be a "jerk," Musk says employees should never "intentionally allow someone to feel excluded, uncomfortable or unfairly treated." He also notes that, "Part of not being a huge jerk is considering how someone might feel who is part of an historically less represented group." Musk added that Tesla has encountered a few cases in which people from underrepresented groups have been promoted over white colleagues but they nonetheless sued Tesla for discrimination, which Musk called "obviously not cool." Portions of the email appeared Monday in a civil lawsuit that alleges racial discrimination and harassment at the company. A day later, Tesla posted the entire email on its website as part of a statement refuting the lawsuit's claims. The lawsuit was filed by Marcus Vaughn, who is black, and who worked at a Tesla production factory in California. Vaughn claimed that coworkers and supervisors regularly called him the n-word, and that the company -- including Musk -- was notified and did nothing to stop it. He also claimed he was fired last month for "not having a positive attitude." The excerpted email appears several pages into the complaint, where it is cited as an example of how Vaughn claimed Tesla allowed racial harassment to happen. "In light of CEO Musk's message to employees that racist epithets can be directed 'unintentionally' and that it is 'important to be thick-skinned,' it is not surprising that the Tesla factory has become a hotbed for racist behavior," the lawsuit said. Tesla swiftly denied both the merits of the complaint and that characterization of Musk's email. In a blog post Tuesday, the company called the document a "hotbed of misinformation" and said Vaughn was a temporary worker who left after his contract ended. He contacted Musk while he worked there but did not mention racial discrimination, Tesla said. The company added that it investigated "conflicting accusations and counter-accusations" between black and Hispanic people who worked on or near Vaughn's team, and ultimately fired three people. Vaughn's attorney had no immediate comment. 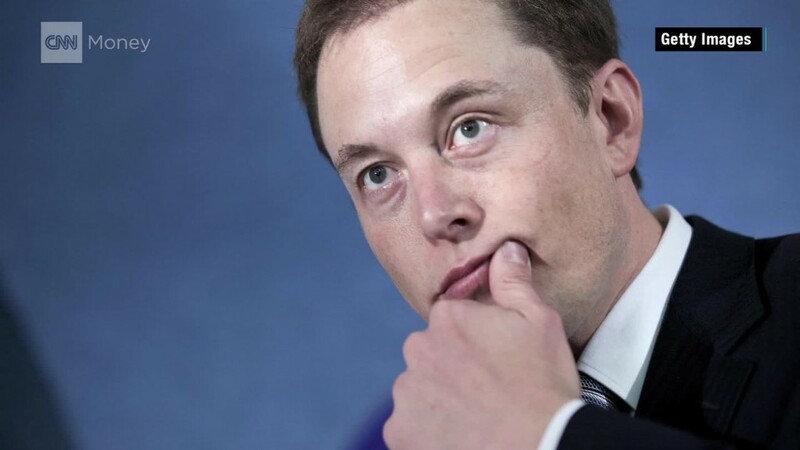 A Tesla spokesperson did not respond to a request. Tesla said Musk's email was intended to let workers know that "no one should feel excluded, uncomfortable, or unfairly treated." The blog post drew ire from Richard Lawler, a senior news editor at Engadget. "Assigning people the responsibility of being 'thick-skinned' is labor they did not ask for," Lawler tweeted at Musk. Musk shot back: "Do you really believe that someone's life should be ruined if they make a single offensive comment for which they then sincerely apologize?" Do you really believe that someone's life should be ruined if they make a single offensive comment for which they then sincerely apologize? Later Wednesday, Lawler tweeted that he is "deeply interested in these stories of people who have had their lives ruined exclusively because a coworker didn't accept their apology for the only offensive comment they ever made." I'm deeply interested in these stories of people who have had their lives ruined exclusively because a coworker didn't accept their apology for the only offensive comment they ever made. "He should recognize that encouraging an employee on a temporary contract to be 'thick-skinned' puts them in a nearly untenable position," Lawler told CNNMoney. "A good policy would investigate the limitless other options available for dealing with harassment or offensive behavior in the workplace." The Vaughn case, and the ensuing controversy, is not the first time Tesla has been accused of being hostile toward black workers. Four lawsuits have been filed in recent months that describe a toxic culture at the plant in Fremont, California, where Tesla makes its electric cars and where about 10,000 people work. Three employees claimed that the environment was so bad as to be "straight from the Jim Crow era." The company at the time told CNN Tech that while it takes all complaints seriously, "in the history of Tesla, there has never been a single proven case of discrimination against the company. Not one." --CNN Tech reporter Sara O'Brien contributed to this report.